Is your ceiling outlet not where you would like it to be? In that case, we recommend the Flos Aim Small Sospensione LED 3 lamps. This unusual pendant light is a creation of the Bouroullec brothers and it is one of the most fascinating designer lights in recent history. Starting from a decentralised suspension, the Aim Small Sospensione LED 3 lamps by Flos brachiates along its supply line through several eyelets, which may be mounted to the ceiling wherever you like. 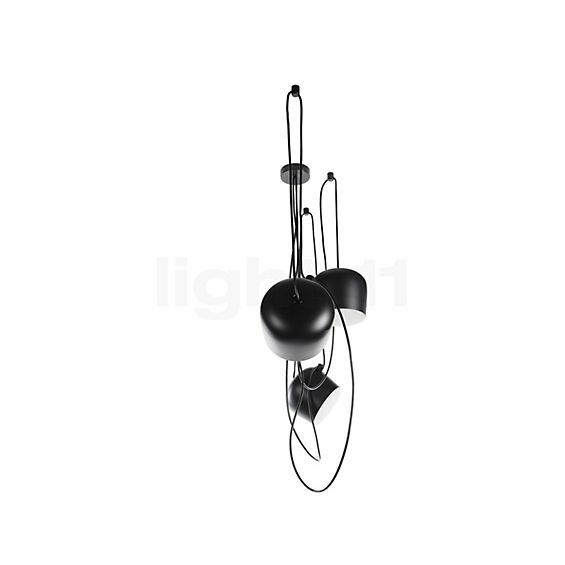 In this way, the pendant light somewhat resembles a piece of art inspired by an exotic climbing plant and the arrangement of the individual lamp heads is totally up to you. The Flos Aim Small Sospensione LED 3 flames is a piece by Ronan Bouroullec and Erwan Bouroullec from 2014. The Flos Aim Small Sospensione LED 3 lamps proves to be a flexible lighting solution. Its three lamp heads, which softly emit the light downwards, may be aligned along their supply line. In this way, the accentuating zone light is always where you need it. 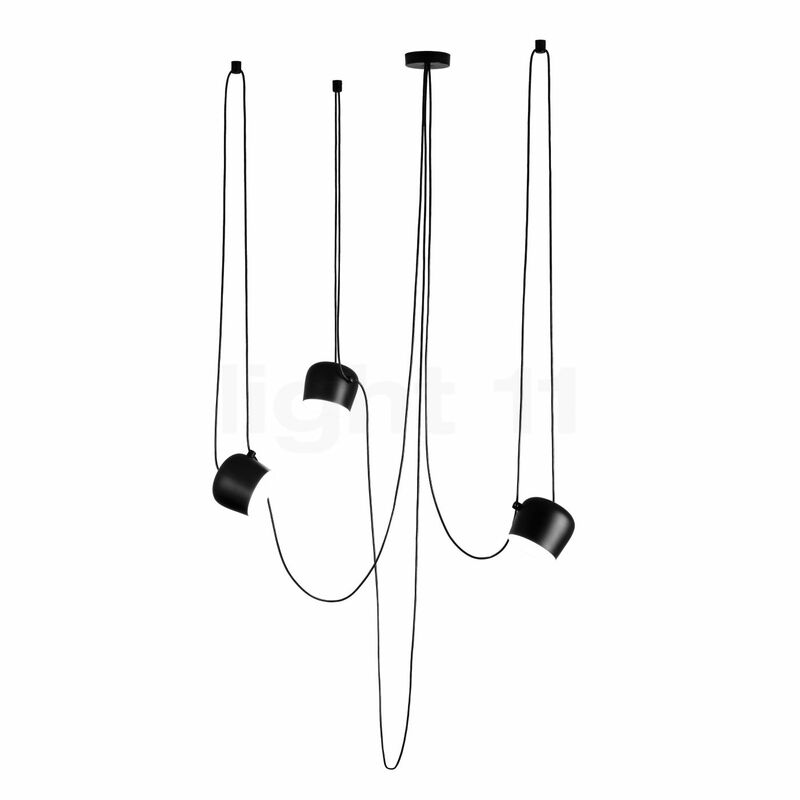 Moreover, the Aim Small Sospensione LED 3 lamps by Flos also scores high regarding energy efficiency. It consumes only 36 watts to generate a luminous flux of 3060 lumens, which is equal to the brightness of a conventional 200 watts incandescent lamp. Thus, the pendant light is beneficial to both the environment and your wallet. Tell other customers and us about your experiences with the Aim Small Sospensione LED 3 lamps ! The Flos Aim Small Sospensione LED 3 lamps is highly appreciated as a lighting solution for tables. In the kitchen or the dining room for example, the pendant light treats a dinner table with its pleasant, warm-white LED light. If you want, you can direct one of the three spotlights towards a specific object, such as a cabinet or a shelf, and thereby gently accentuate it. Furthermore, the Flos Aim Small Sospensione LED 3 lamps may unfold its accentuating light over a coffee table in the living room.